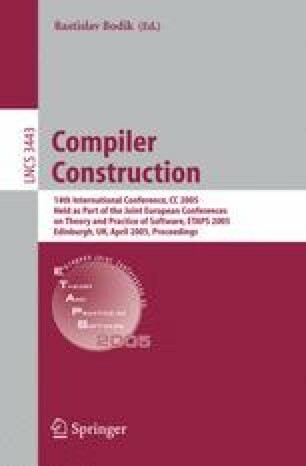 Tiger (Trinity Interpreter GEneratoR) is a new interpreter generator tool along the lines of vmgen, but with significant improvements in flexibility and feedback. Support for important new features such as instruction specialisation, replication and improved analysis of code at runtime are presented. A simple ‘C’ virtual machine imported into Tiger is used for demonstration purposes. Various realistic benchmarks (such as sorting and Davis-Putnam backtracking algorithms) are used to show the utility of these new features in Tiger.